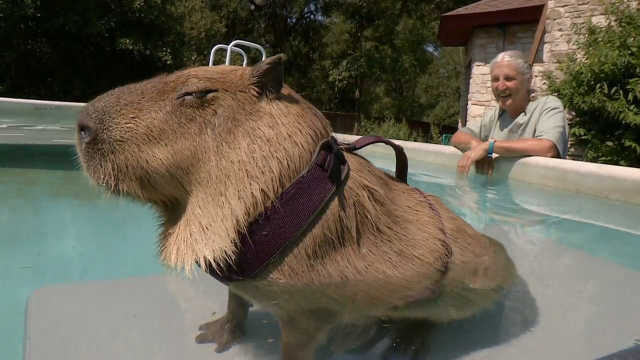 Gary is a 112-pound capybara rodent that lives in Texas and has his own swimming pool to keep cool (which he loves!). His owners play with him in the pool every day and he even performs tricks (or so say the owners). So, what’s a capybara rodent? Glad you asked. Capybaras are close relatives to guinea pigs and distant relatives to chinchillas. It’s often hunted for meat and its fat is used in pharmaceutics. Now are YOU glad you asked?